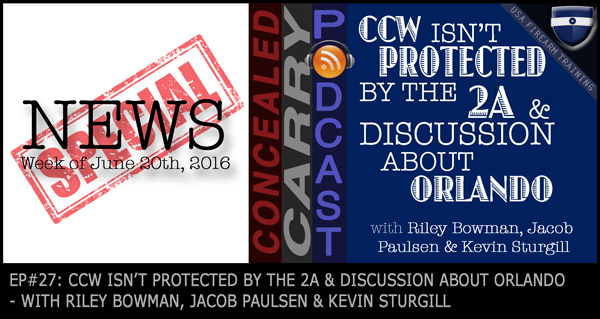 Later this week on the Concealed Carry Podcast we will be hosting a man who stopped a stabbing in Detroit. You will hear straight from a man who drew his firearm in defense of a stranger! Thanks so much for joining us this week. Have some feedback you’d like to share? Leave a note in the comment section below. If you enjoyed the podcast the biggest compliment you could give us would be to subscribe to future episodes via a podcast app on your phone or via iTunes. You can find past podcast episodes by clicking here. Please consider leaving us a review on iTunes.